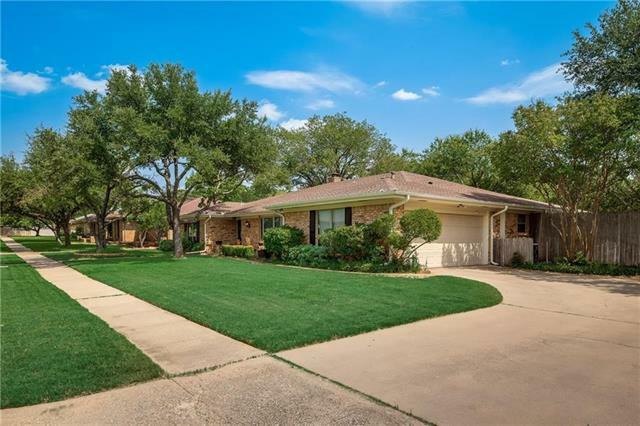 All Pantego homes currently listed for sale in Pantego as of 04/25/2019 are shown below. You can change the search criteria at any time by pressing the 'Change Search' button below. "THE TOWN HOME HAS BEEN VERY WELL MAINTAINED AND IN GOOD CONDITION. FLOORING FEATURES TILE, LAMINATE AND CARPET. LARGE MASTER BEDROOM LOOKS ONTO PATIO AND FENCED BACK YARD WITH THE PANTEGO CITY PARK ACROSS THE CREEK FROM THE TWO CAR CARPORT. SIZEABLE MASTER BATH WITH OVERSIZED CLOSET. CAR PORT HAS BUILT IN WOOD STORAGE CLOSET. WOOD BURNING FIRE PLACE IN LIVING AREA AND WET BAR IN DINING. KITCHEN HAS ALL APPLIANCES EXCLUDING REFRIGERATOR. THE QUIET NEIGHBORHOOD AND PROXIMITY TO THE PARK MA"